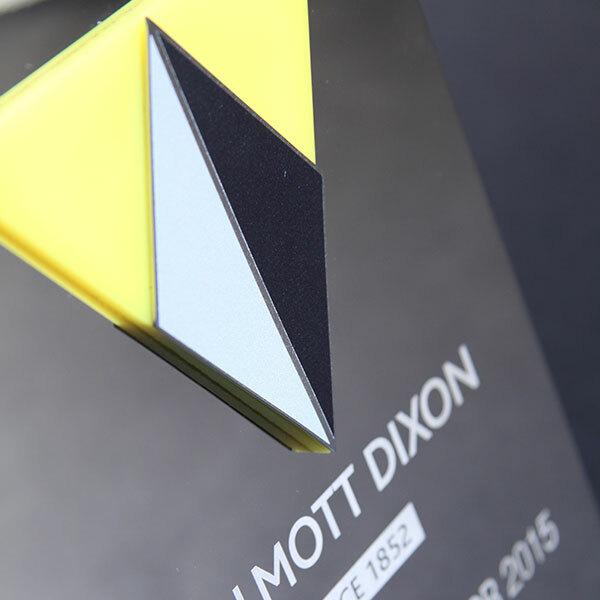 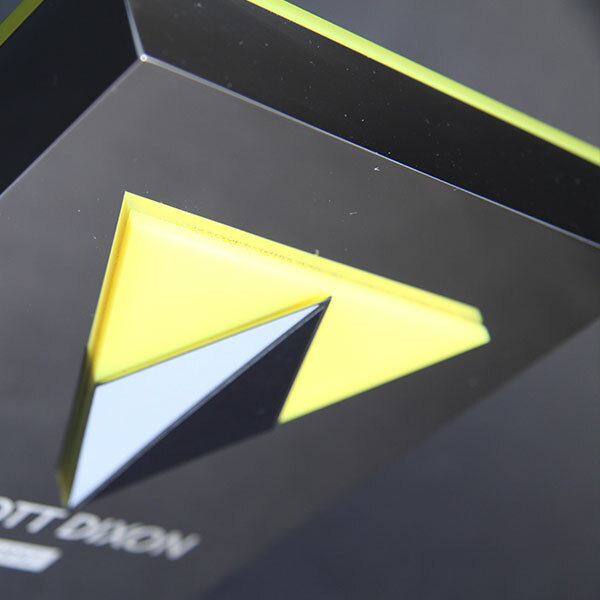 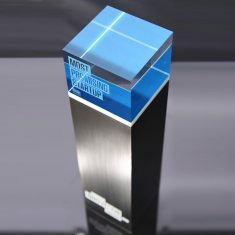 Imposing polished nickel plated aluminium trophy featuring a pattern of laser cut acrylic triangles. 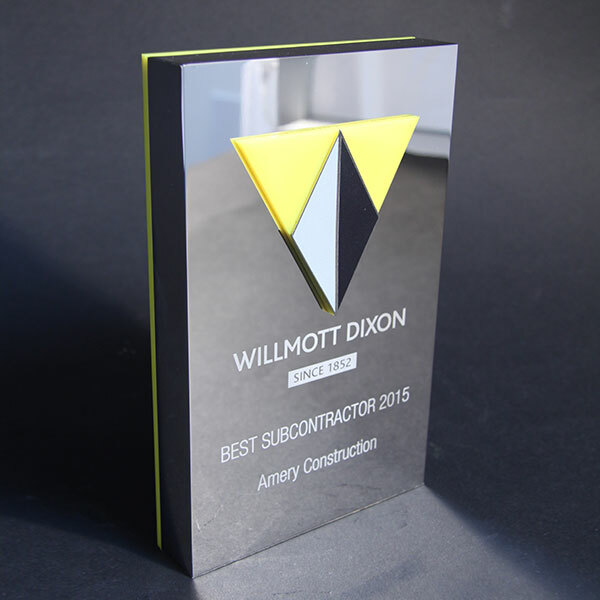 Yellow acrylic backing adds the finishing touch. 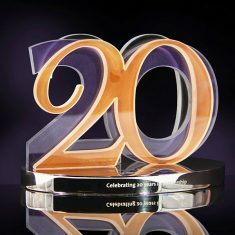 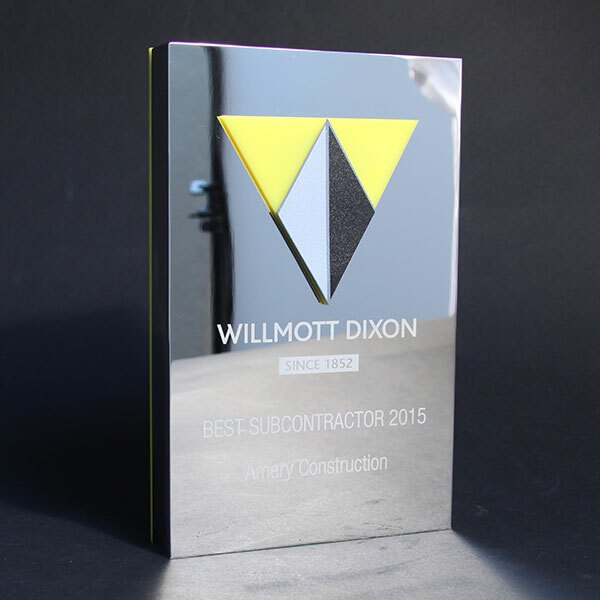 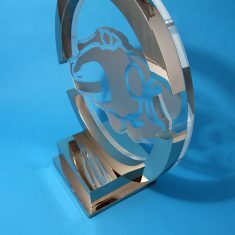 Each award is personalised by laser engraving directly onto the surface of the metal.